The COSMO is a breeze to clean, thanks to its quilted polyester shell and water-repellent nylon liner. You can wipe it with a wet cloth or toss it in the washing machine. 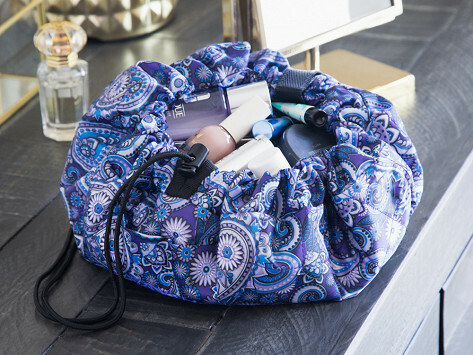 If you’re headed out of town, the soft-sided design makes it easy to stow in a suitcase or carry-on bag. COSMO is a smart, convenient solution for corralling cosmetics. 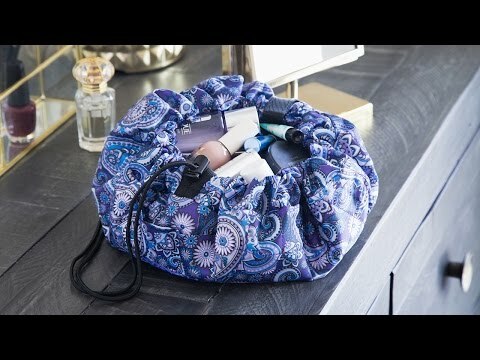 When you’re on the go, it’s ready in a clutch.